"Told you Patchwork Jack would show you the way," said the ghost urchin. "Course the business has changed but this is definitely the place the Rainbow Grease stall used to be." Lester was almost relieved to see his former pitch occupied by another trader. He did not believe himself to be cut out for the life of a goblin merchant. He would never have taken on the job if it hadn't been for the sales patter of that mysterious man in the top hat. "Things seem interesting," said a voice behind him as he looked at the newly erected stall. A pest control service that stood upon the pitch where 'Neptune & Sons Rainbow Grease Emporium' had once plied its trade. "Even if they haven't worked out quite the way you planned." Lester turned to see the grinning man in the top hat, his eyes just as vulpine as they were upon their last meeting. His teeth shone a dazzling white that made Lester giddy whenever he focused upon them. "You," Lester said. "you told me that if I took on that stall then I would start on the journey to find my brother." "Who says you haven't?" the man asked. "Do you know this man?" James piped up from Lester's shoulder. "Know me?" the man said. "Who really knows me, James Rummage?" "My name," James said. "You know my name." "You never told me you had a surname," Lester said. He was annoyed that James had not shared this with him but he couldn't exactly say why that should be. "I had forgotten, until he said it," James explained. His amazement at the recovered memory appeared to render him incapable of being irritable for a moment. "Destiny has big things in store, Lester and James," the man said. "Right now, in order to set you on the right path, I think you might need this." The man reached into the folds of his greatcoat and pulled out a tiny metal dragon. The man flipped the beast over and moved a switch on its belly. The toy pulled itself back upright. It looked about as if surprised to be on a man's palm in the heart of the Patchwork Market and flexed its wings experimentally. Appearing happy with its initial movements the dragon flicked its wings faster and took off into the air. It buzzed around the man's head before swooping over to land on Lester's right shoulder. "There we go Master Topping," the man said. "I have brought a sense of balance. If not to your life, at least to your shoulders." Lester turned his head to look at the tiny metal dragon. The dragon looked up at him with tiny, inquisitive eyes made out of turquoise beads. On his left shoulder James made a tiny, wet popping noise. "What is it with all the dragons?" Lester asked. "And who are you anyw-"
As Lester raised his head to look in the direction of the man once more he could not help but notice that the man was no longer there. "Where did he go?" Lester asked. "I don't know," James said. "I sneezed, that made me blink, when I opened my eyes he'd gone." "I'm beginning to think there's more to that man than first meets the eye," Lester said. "Really, what was your first clue?" James asked. "We've talked about this sarcasm issue before," Lester said. "Yes, and the conclusion was that it was your problem, not mine," James replied. Lester was sure the insufferable rodent was smiling. A mouse's face, being what it was, James remained relatively inscrutable. Lester could hear the mechanical dragon ticking gently on his shoulder. He turned his head and studied it again. The blank, turquoise eyes stared back. "What do you supposed he gave me this for?" Lester asked. "If the last couple of days have told me anything," James replied, "it is that all things become plain in their own time. Shall we see how everyone else is getting along?" "Oh, yes, no problem," Lester said, focusing back upon the wider space around him. They headed through the crowds, towards the sign for "Riseandshine & Titsadaisy". As they approached the stall the sound of voices came floating out from the interior. "They will have gone along the trade routes, and if they haven't then they'll probably be lost. Tabarnas only knows the trade routes," said an old, female voice, scratchy but strident. Lester didn't recognise it. "Do you have a map of the trade routes?" Sir Cobb, Lester couldn't help a slight sneering twitch at the corner of his mouth. "I think I do have one, but only one, in stock. Very detailed, no more than four decades old," the old woman said. "I could part with it for something in the region of a half crown." "Would three florins be region enough," a female voice that made Lester's heart flutter in his chest, Phoebe. Lester reached the flap at the entrance to the merchant's stall to see the vignette of trade laid out. Sir Cobb and Phoebe were stood on one side of a counter top looking up at a wizened old goblin woman. The goblin clutched a rolled up document in her hand. The princess was poking around in a pile of junk in the far corner, looking extremely bored. "They forgot the first rule again," James said in Lester's ear. "Always keep two eyes on the princess." Lester slid into the stall and crossed the space between Sir Cobb and Phoebe to stand behind Princess Anabyl. He cleared his throat. Princess Anabyl's head whipped round, her brow knitted, there was a dark expression on her face. "Maybe we could try to find James's friend without causing any kind of an incident," Lester said quietly. "Where's the fun in that?" the Princess asked darkly. "Come on you three," said Phoebe's voice behind them, all business. "We've got to get the princess to the Master's Tower." "Where's Rachel?" James asked, Lester identified a note of worry in his voice. "Ah, well, about that," Sir Cobb said, looking sheepish. "She's not here, is she?" James wailed. "Where's she gone?" "As it happens," Phoebe explained, "to look for you." "Don't worry," Sir Cobb said. "She's with Tabarnas, they'll stick to the trade routes." "It's a dragon, um, a mechanical one," Lester replied. "Why have you got a tiny, mechanical dragon on your shoulder," Phoebe asked. "Can I have a look?" the princess asked before anyone else could speak up. Although the words were organised like a question they sounded like a demand. "Er, well, the man in the top hat gave me this," Lester said. "I think I might need it to find my brother." "Really?" Phoebe asked. "A man in a top hat gave you a mechanical dragon and told you it would help you find your brother?" "Well, not in so many words but..."
The dragon, possibly sensitive to being discussed started to whirr and click. Lester craned his neck round to see the little creature buzz up into the air of the tent, spiralling and wheeling. "Oh, no!" Lester said. "Quick, catch it!" "Any damage must be paid for!" the old woman behind the counter cried out. The dragon swooped past the decrepit goblin, nearly catching her nose and then shot out of the flap into the market place. "After it!" Lester cried out and chased the dragon out into the crowds of the Patchwork Market. Before they knew it all five of them were following the tiny sparkling sliver shape of the dragon as it buzzed over Master's Quarter. The dragon whizzed forward, above the heads of the jostling crowd. It appeared bent upon some unknown purpose, not caring at all about the small party attempting to follow on behind. The dragon lead them across several bridges, through numerous plazas. It was always too fast for them to catch it but never fast enough to give them a slip. Before long they found themselves running over a broad crossing place. They were all heading towards a portcullis leading onto a strange, dark plaza. The dragon flitted through a hole in the portcullis and was gone. "Oh! Oh no!" Lester shouted. "What's going on? I don't understand any of this." "Come on, old chap," Sir Cobb said coming to stand beside him. "We'll just knock on the door and ask if we can come in to look for our mechancal..."
The end of Sir Cobb's sentence was rendered incomprehensible. A mighty explosion shook the plaza and those surrounding it. Everyone looked in the direction of the portcullis. "What the hell was that?" Phoebe asked, her voice sounded as if it was coming through a cotton wool blanket. The princess was already heading for the portcullis a look of unholy glee on her face. "Oh, no, seriously, not again," James said from Lester's shoulder. "My life has become so much more complicated ever since I..." Lester was trying to remember when his life had not been so complicated but he drew a blank. He looked about for something that could be used to safely restrain a psychotic young noble. All he could really register in his survey was the cylinder of a top hat. "Hey, you!" Lester called racing towards the owner of the top hat. "Your dragon! Is that what caused this explosion?" "What dragon?" came back the response, not male, not smooth and also not the person who had given Lester the mechanical toy. "Who are you?" Lester asked the pretty young woman in black pyjamas, wearing an incongruous top hat. "I am Princess Lilith Butterstone," replied the young woman. "Who are you?" "Another princess," James said. "Just what we needed." The excitement on the plaza beyond the portcullis had not abated. There was the sound of a mighty roar of anger and then a cracking, splintering noise. "That doesn't sound like fun," Sir Cobb said. "My brother!" Princess Butterstone cried out. She raced past Lester in the direction of the portcullis. She didn't get all the way as Phoebe caught the young woman by the arm as she came past. "What are you doing," screamed the Princess. "Get off me!" "If you want to stand a chance of rescuing your brother," Phoebe said. "You'll do exactly as I say. Right now I say stand back." Phoebe turned her attention to the other rogue princess in the area. "Anabyl," she said. "Come over here, right now." "Are you going to do what I think you're going to do?" Anabyl asked, delighted. "I don't know..." Phoebe said, raising her right arm as Anabyl drew in close. A huge ball of pink-red plasma blasted a hole in the portcullis. "Were you expecting that?" "I think, to be honest," James said. "We were all expecting that." The party ran up towards the hole. Sir Cobb ran through first, drawing his sword (which babbled away to its owner excitedly). He was followed by Princess Butterstone, Phoebe and Princess Anabyl. Lester and James brought up the rear, being of limited value in the midst of a battle. "Lester, what do you think you're doing?" James asked as they stepped through the still smouldering hole in the gate. Lester paused and peered through the smoke beyond the gate. he was in time to see a gigantic knight bring a gigantic piece of wood down on top of someone lying on the floor. Various other knights stood around the plaza, weapons drawn. Smoke billowed from a hatch on the far side of the square. Some more plasma, light blue this time, incinerated the end of the wooden pole before it could crush the skull of the man on the ground. "That's it!" Phoebe called. "I'm out until I've had a good meal, a nap and, if possible a hot bath." "Raaaargh!" the giant knight roared at the intruders, furious beyond sense. "Grarrgh! Arrrgh!" Sir Cobb was closest. He swung his silver sword at the knight's armoured arm. It did not look as if he was trying to kill the giant, just to pull his attention away from the man on the floor. The giant stepped out of the way of the swing and hit Sir Cobb full in the face with the heel of the opposite palm. The blow picked Sir Cobb up off his feet. It sent him flying backwards across the plaza, arms flopping like a rag doll. "Vaskorn!" Princess Butterworth called out to the knight. "Leave these people alone and face me!" The giant knight, Vaskorn, turned to look at Princess Butterstone. The princess was holding two fighting daggers and looked as if she meant business. She had planted her feet wide and set her shoulders ready for combat. Lester felt his heart twitch the way it had the first time he'd seen Phoebe September. Lester knew he was a nice boy, a hopeless romantic, and also prone to fickleness in his affections. It was probably a good job that none of the women who caught his eye even gave him a second glance. Vaskorn's brow knit, the giant turned his huge body to face the little girl threatening him with two tiny little daggers. He threw back his head and bellowed with laughter. "Oh... oh no," he shouted, his voice filled with mockery. "The little girl has come to defend her half-starved, deafened and confused brother. Not only that, she's brought with her a witch who's run out of magic and an idiot with a silver toothpick. Not to mention the girl even smaller than her, the carnival barker and the mouse. What am I supposed to do armed only with legendary strength and a personal guard of twenty highly armed mercenaries? Well? Any suggestions?" A silence descended over the plaza. "I'm a _talking_ mouse." shouted James. For once, everyone was listening. The comment dropped into an even deeper, longer silence. Then Vaskorn threw back his head a second time and laughed some more. When the fit of hilarity had passed Vaskorn's face turned grim. "Guards," he commanded. "Round up these prisoners." "Prisoners no more!" cried a tiny voice from the gloom above the plaza. "Onwards! To freedom!" Vaskorn looked up, unsure how to feel about strange voices issuing from the darkness. A gnome fell out of the sky, trailing rainbow colours behind it. It hit Vaskorn in the face, bouncing off the gigantic knight to land on the plaza floor a few feet distant. Before Vaskorn could react a second gnome fell out of the sky and a third, a fourth. There followed a tumultuous shower of tiny earth sprites. Many of these hit Vaskorn full in his dark expression of consternation and confusion. Before too long a few hundred gnomes had completely buried the knight. They scrambled and scampered away from him to leave the red-faced and fuming knight beside himself with fury. "Kill them!" he screamed. "Kill them all!" "Nobody will be killing anybody in the Patchwork Market today!" called out a clear voice imbued with an undeniable natural authority. The voice came from right behind Lester's now dragonless right shoulder. Lester turned to see a tall, richly dressed, bald man with coffee-coloured skin stride past him. Behind the man followed rank upon rank of guards dressed in black and grey uniforms. Lester recognised these as the Market Watch. "Master Kalico," thundered Vaskorn, "you do not understand. These are trespassers upon my plaza! They have damaged my property, injured my men... they have brought with them... gnomes, look at all the gnomes." "You think this gives you the right to bring murder to the plazas of the Patchwork Market, Vaskorn?" 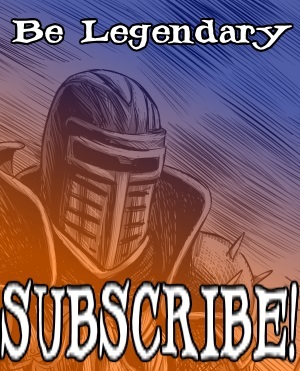 Master Kalico asked the knight. His gaze did not waver at Vaskorn's fury. "I demand justice!" Vaskorn cried. "Then you shall have market justice!" Kalico matched the knight's fury with quiet intensity. "If that does not suffice you are free to move on." "What do you propose?" Vaskorn asked. It was clear the knight was barely holding on to his temper. "These people must make reparation for the damage to your facilities. Until then they will be wards of the market," Kalico said. "That is all." "That is nothing!" Vaskorn bellowed. "An insult." "As I said," Kalico replied, swift as a snake. "If you do not like merchant's law then you are free to move on. I'm sure there are many benefits to taking a pitch in a lesser market place. Somewhere your business dealings will attract a higher degree of visibility than they do here." "Do what you will," Sir Vaskorn said. "I will remember this." "As will I, Sir Vaskorn," Master Kalico said. He turned his attention away from the knight at last. "Anyone who does not wish to remain a guest of Sir Vaskorn, report to a member of the Market Watch directly." Lester did not need to be told twice, it was the keenest he'd ever been to be arrested for something. Before long all of the party assembled in a cell beneath the Master's Tower. "Another day, another hellish mess of chaotic incident and accident," James remarked. "And I'm no closer to finding my brother than I was before any of this began," Lester said. "Well, I am no closer to being reunited with Rachel," James said. "At least the princess rescued her brother," Lester noted. Prince and Princess Butterstone were conversing intensely in the opposite corner. "I like Princess Butterstone's hair," he added. "Grow up," James sighed. "She's just another one who would rip out your heart and use it for tennis practice." "What's tennis?" Lester asked the odd little mouse. The question was never answered. The door to the cell opened and in came Princess Anabyl. Following her was a man bearing the world weary expression of one who had dealt with the little tearaway many times before. "Good news, everyone!" the princess announced. "The kingdom of Spireshine will pay for all the repairs to the mean knight's plaza. We're all free to go!" The gnomes, in particular, found this news to be most exciting. A cheer went up. As the vast bulk of the gnomes fell to dancing and singing one detached from the rest and sidled over to where Lester was sat. "So where's the girl?" the gnome asked James. "You should know, it was your stupid wish magic that landed us in this mess in the first place," James said. "Yes," the gnome said. "It was. While I was in that mine where my gnomish brothers were enslaved I found this. I thought I should probably bring it back with me." The gnome opened his shirt and pulled out a face mask that was far too big for the tiny man's face. He held it out and Lester took it. The mask depicted a delicate female clown face. The mask was white. The eyes were picked out in delicate black triangles, red lips and small winding curls of hair around the brow and cheeks. "Turn it over, so James can see," the gnome said. Lester turned the mask over. Inside the mask was written: "COLUMBINA: Property of Rebecca Rummage"
"Nice try," Lester said. "But the little girl's name is Rachel, not Rebecca." "Rebecca is my wife," James said, his voice distant. "Really?" Lester said. "This mask belongs to your wife?" "So it would seem," James said. "Let me guess," Lester said. "You don't remember anything." "No," James said, his voice small but steady. "But I intend to find out." And indeed he did, but not until he was reunited with Rachel. She, in her turn, had many adventures with her new friends Tabarnas, Eos and Micras upon the merchant roads. Indeed James, Lester, Sir Cobb, and Phoebe all had adventures of their own upon the way to reunite James and Rachel. Saeed went upon his own way within the market continuing to search for the soul of his mother. These are all stories that I will share with you, but for now the hour is late, so I must tell them to you another time.